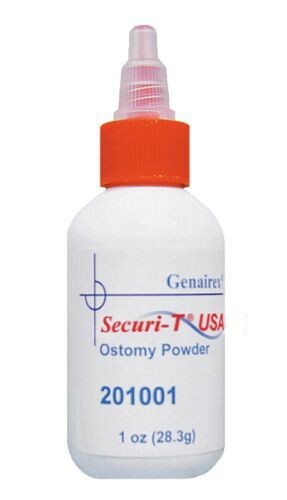 The Securi-T Ostomy Powder by Genairex is a powdered protectant that helps patients with ostomy supplies. The powder itself is able to absorb moisture as well as be able to protect the skin from itching, irritated or broken areas. The powder works differently from cream-based products by providing a layer of protection without leaving a mess behind. The powder-base also provides a level of comfort for the user that they can trust will not be visible on the outside.